Participants had lunch at the Restaurant Felli, the cafeteria in the same building as our meeting hall. It is always fun to eat like the local people. There was an interesting dish of shredded chicken and “root vegetables”, which were mainly beets. Breads and buns in Finland are always remarkable. There are always various buns with poppyseeds, and a variety of rye breads, some very dark – all very good. Hard to resist. After lunch we heard three presentations on portals, interfaces and engines designed to make access to polar information easier. Leif Longva (UIT – Tromso) updated us on developments with the High North Research Documents https://highnorth.uit.no/ . Leif reminded us that the material in High North is harvested from the BASE (Bielefeld Academic Search Engine) metadata harvester https://www.base-search.net/. He also pointed to the need for high-quality metadata to allow for harvesting by these systems and noted the relatively low numbers of Chinese and Russian documents being retrieved. Language differences and/or metadata quality may be factors in this retrieval rate. Shannon Christoffersen (AINA – UCalgary) brought us exciting news about the development of CCADI: Canadian Consortium of Arctic Data Interoperability. http://ccadi.ca/canadian-consortium-arctic-data-interoperability This consortium of 13 organizations is working to make Arctic data more accessible. In particular they are working towards goals around: a common interface for data, data interoperability, common vocabularies and data sharing standards. Late afternoon of our first day was dedicated to the Poster session and some final presentations. Each of the four poster presenters briefly described their posters to the group and then answered questions at their poster. Peter Lund (Scott Polar) presented on making theses more available. Sue Olmstead (LAC Federal) spoke about the digitization of documents from the Antarctic Bibliography Microfiche Collection. Abdurhman Kelil Ali (UIT Tromso) described efforts to increase the amount of research data that is collected from professors, particularly those retiring, to be made available for secondary use. Marjatta Puustinen spoke about the research development at the Lapland University of Applied Sciences. After the poster session, Bev Ager (British Antarctic Survey) presented on a variety of efforts to make the BAS Archives more open and accessible and some of the challenges in this process. The afternoon was rounded out by a joint presentation from our busy hosts Susanna Parikka and Liisa Hallikainen, who took time out of their colloquy management duties to introduce us to LUC Library and LUC Arctic Centre Library. Opening day of the conference has been full. We have all had a chance to catch up with our colleagues, be reminded of some of the great work that polar librarians are doing, and to learn about some new developments. Looking forward to tomorrow’s sessions. Coming directly from the airport, I slid into the icebreaker late and exhausted from travel. How welcoming it was to enter a beautiful old house, receive a registration packet and glass of wine simultaneously, fill a plate with local delicacies, and catch up with friends new and old. I heard about changes in the lives of people I met at my first Colloquy in 2004, and got to chat with some who were at a Colloquy for the first time. The location of the icebreaker, Alaruokanen House, also gave us a good introduction to Rovaniemi. The house was built in 1860 and is now owned by the city. It is one of the very few older structures in town; the rest were burned during the Lapland War of 1944-45. Once the home of a wealthy family, it showcases the log construction and floor plan typical of the region and was furnished in historic colors and woven rag rugs that are still favorites here. Starting the Colloquy by bringing us together as a community was a wonderful way to set the tone for the entire week. 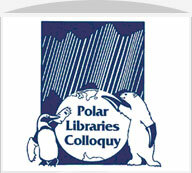 Polar Libraries Bulletin Spring 2018, Issue 79 is Now Online! The new issue of the Polar Libraries Bulletin, Spring 2018 – Issue 79, is now live. Read it here! You can also access past issues on our Publications Page. The new issue of the Polar Libraries Bulletin, Spring/Fall 2017 – Issue 78, is now live! Read it here! You can also read past issues on our Publications Page. Lapland University Consortium Library is pleased to host PLC 2018 in Rovaniemi, Finland. Please visit the PLC 2018 website at www.ulapland.fi/plc2018 or see the brochure for more information. Registration and a call for proposals will be coming in September 2017!